Saturn certainly is one of the most spectacular members of our planetary family. The planets body could hold roughly 750 Earths, and it's mass is nearly one hundred times ours. 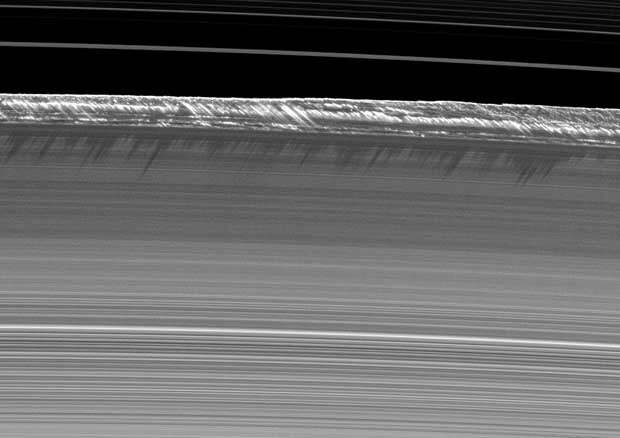 But it is mainly its characteristic rings that makes it stand out among the rest of our neighbors, and quite rightfully so; for they are just as mysterious as they are beautiful. 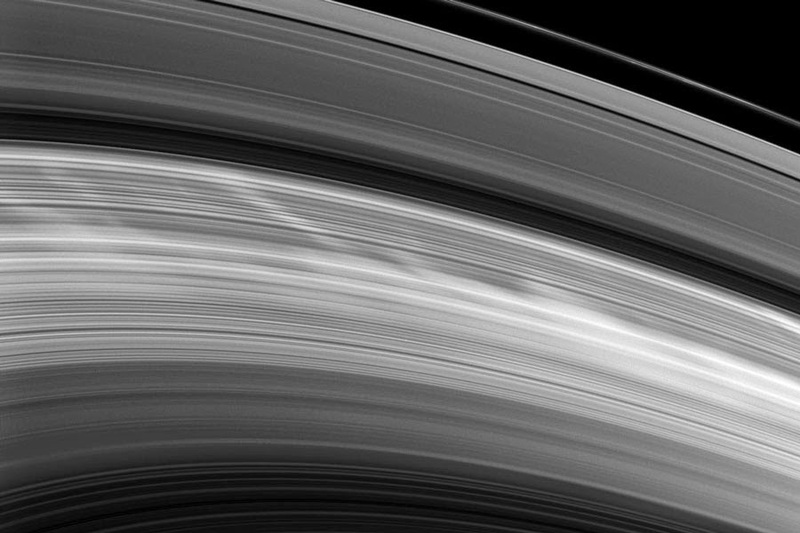 The established astronomic consensus says that these rings are made up of ice chunks, with sizes ranging from specks of dust to blocks up to 10 meter in diameter. They reach the length of hundreds of thousands of kilometer, yet their thickness of a mere 10 meter conforms to that of a razor blade to a basketball. Two close up pictures of the rings. Click for enlargments. Besides size and material the astronomers don't really know much about them. Questions like how they remain stable, how old they are and why they are there in the first place remains unanswered to this very day. And yes, it’s not only one but several distinguishable rings, all of them perfectly aligned. But a lack of mainstream explanations doesn’t equal lack of explanations. Some years ago I came across a book with the intriguing title Ringmakers of Saturn* by Norman Bergrun. In the book he presents a plethora of (very) technical information, which according to him, answers the question of their origin. Now before we go into the actual data and its additional comments, a short presentation of the author is in order. Norman Bergrun and his book Ringmakers of Saturn. Dr. Norman Bergrun has had quite a career working 12 years as a researcher at NACA (predecessor to NASA) before he moved on to Lockheed Missile and Space Company (later Lockheed Martin) where he during his 13 years of service, among other things, was in charge of planning and analysis of flight tests for the Navy Polaris Underwater Launch Missile System. His background is quite extensive and you can read more about it here, or see his complete cv listed at the bottom of this article. Needless to say, this guy is about as knowledgeable as they come. It’s therefore very interesting to read his book which is made up of Bergrun’s meticulous scrutiny of circa 40 pictures of Saturn and it's rings taken by Voyager 1 and 2. The info is extremely dry and technical, but if you start from the beginning and read it slowly to the end, and take time to carefully study every picture that is being presented, you can kind of see where he's coming from and what he’s aiming at, but as he himself put it “if you are looking for entertainment, this is not the book”. Some of the images are easier to understand than others, but please note that there's a textual context to take into account when studying them. During his career Dr. Bergrun went through literally miles of photo coverage-film, so he should know what's up. 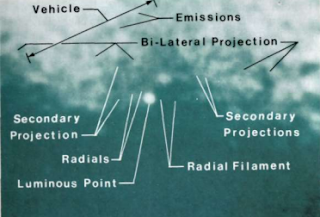 According to Bergrun several of the Voyager pictures shows evidence of gigantic cylindrical vehicles residing in the rings. Furthermore, some of them even seem to spew out exhaust energy of some kind, which in combination with the fact that the rings change form and sometimes brakes, leads him to conclude that they are in fact the results of these space craft’s emissions. The tricky lingo and the hard-to-tell-what's-going-on-pictures are hurdles that perhaps only a degree in engineering might overcome, but all-in-all his theory is coherent. Albeit far out, but least it’s something compared to the nix of the establishment. according to the photographic evidence. It sure looks rad, wouldn't mind a patch. In the closing chapter of the book he allows for some personal reflection on the matter. One of the things he brings up is the Tunguska incident in 1908, where some kind of object – according to eye witnesses cylindrical in shape – appeared over the Siberian skies and exploded with a force greater than a thousand Hiroshima bombs [sic]. Many theories have been put forth as to what caused the immense blast, but none as good as to explain all of the aspects involved. 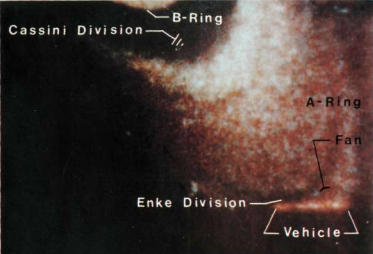 Bergrun however, suggests that the object likely was some kind of craft of Saturnian origin. I wouldn't normally make much fuss about a claim like this [particular] one, but as a matter of fact I've stumbled upon a couple of remarkable correlations from other sources that leaves me no other choice but to seriously consider the reality of the Saturnian Overlords. 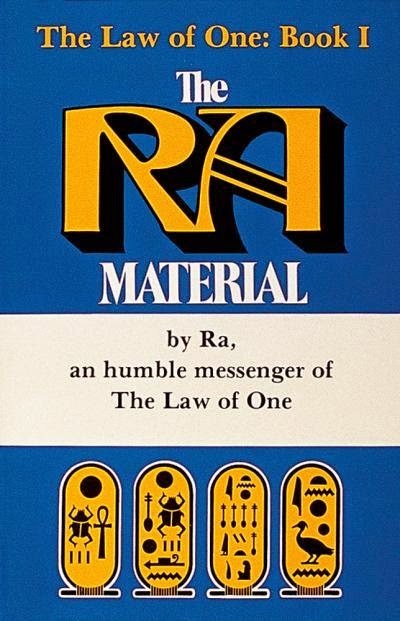 During 1981-1984 a group of three individuals was hard at work channeling an intelligence called Ra, a societal mind complex, who gave extraordinary and consistent answers to the group’s questions regarding existence, cosmos, ethics, humankind, physics and more. All together, a cosmic philosophy, based on the idea that everything, us included, ultimately is part of One Intelligent Infinity, is being presented**. 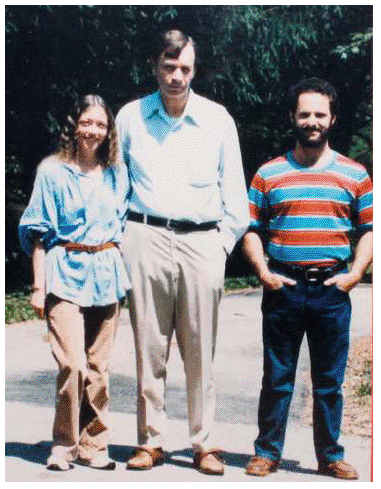 Carla L. Rueckert, Don Elkins, Jim McCarty. This philosophy has played a significant role in my life, and to this day continues to inspire and give meaning to it. As I consider it to be trustworthy I don’t dismiss anything of it, and so far haven’t had any reason to either. All of the statements, the more outlandish ones included, seem to be independently confirmed by other (fringe) sources. In my Swedish blog I have followed up on several of Ra’s mentions, e.g. Bigfoot, Breakaway Civilizations and Saturn; and there’s always something there to be found, usually of a highly fascinating as well as entertaining nature. "6.8 Questioner: Where is this Council located? 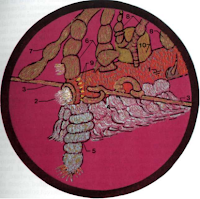 Ra: This Council is located in the octave, or eight[h] dimension, of the planet Saturn, taking its place in an area which you understand in third-dimensional terms as the rings." "30.14 Questioner: Thank you. 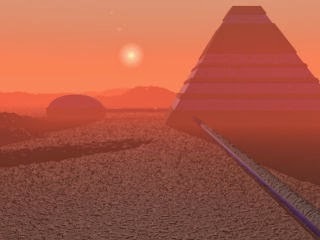 Can you give me a brief history of the metaphysical principles of the development of each of our planets around the sun and their function with respect to evolution of beings? Ra: I am Ra. [...] The planet known as Saturn has a great affinity for the infinite intelligence and thus it has been dwelled upon in its magnetic fields of time/space by those who wish to protect your system." So both are talking about Saturnians, even though it’s not clear if we should be able to see the Council or not, seeing as it is positioned in the eight octave/dimension of the planet’s rings. For years I've found it curious that they both talk about intelligent beings around Saturn. However it wasn’t until about six months ago, when I read through the whole Ringmakers of Saturn, that I found out that they also have similar views on what happened over Tunguska. [...] To illustrate, a sudden change in the surface of the Earth occurred 30 June 1908. On this day, a violent thunderous explosion rocked an area near Tunguska in Central Siberia, USSR. Twelve hundred square miles became devastated. Small villages and wildlife disappeared during this blast. A large forest was flattened. According to eye-witness accounts, a flaming cylindrical object was sighted in the vicinity just prior to the explosion. After years of intensive study and scientific research, a firm conclusion has been drawn that the devastation had been caused by an aerial nuclear explosion. Supporting this conclusion is the Hiroshima nuclear-bomb destruction which produced a surfacedevastation pattern similar to that recorded at Tunguska. Some scientists go farther with an assertion that the devastation had been caused by an extraterrestrial spaceship which exploded. After all nuclear bombs had not been invented at the time of the 1908 explosion; and furthermore, they submit, there were eyewitnesses. The Tunguska story affirms the existence of cylindrical vehicles and their nuclear character. 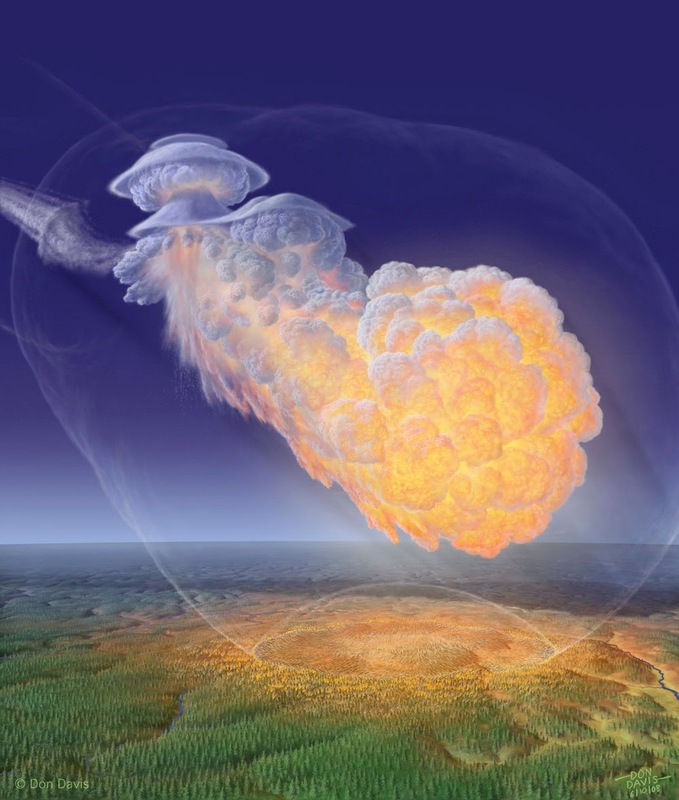 Was an alien space ship from Saturn responsible for the Tunguska blast? Two unrelated sources suggest just that. "17.3 Questioner: In meditation a few nights ago I had the impression of a question about a crater in Russia. I believe it was in Tunguska. Can you tell me what caused the crater? 17.5 Questioner: What was its purpose in coming here? 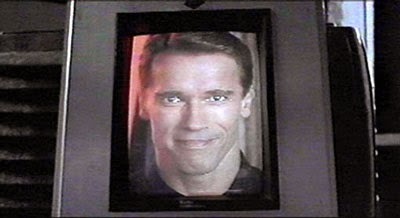 Ra: It was a drone designed to listen to the various signals of your peoples. You were, at that time, beginning work in a more technical sphere. We were interested in determining the extent and the rapidity of your advances. This drone was powered by a simple fission motor or engine as you would call it. It was not that type which you now know, but was very small. However, it has the same destructive effect upon third-density molecular structures. Thus as it malfunctioned we felt it was best to pick a place for its destruction rather than attempt to retrieve it, for the possibility/probability modes of this maneuver looked very, very minute." The following conclusion therefore can be made: at two completely unrelated instances, information came about suggesting that more developed intelligences, with accompanying crafts, reside in the rings of Saturn. They also suggested that the Tunguska event was the result of a (malfunctioning) vehicle associated with these ring dwelling entities (although indirect in Ra's case, as there's a difference between the Confederation and the Council). The LoO-session happened in February, 1981. Now Bergrun’s book was published in 1986, but according to the author it was written the same year, in 1981. There is something about the implausible. When two unrelated events randomly cross paths in a meaningful way, one can not deny that certain spark of magic that makes you joyful for a moment or two. In my case, I didn't give them much attention until perhaps 2-3 years ago, but since then I've more often than not written them down, and much like dreams they manifest more regularly the more you take time to reflect upon them. One such occurrence happened when I researched the subjects of this article. Important or not, if there's one thing I've learned when it comes to synchronicities in my own life, it is: they come with wonder. Ringmakers of Saturn, Bergrun, Norman, Pentland Press, 1986. Education: B.S.M.E., Cornell University, 1943; L.L.B., LaSalle University (Extension), 1955; Postgraduate Study, Stanford University, 1947; Continuing Education, Foothill College, 1982. Military: Served in the United States Navy, 1944-46, attaining the rank of Chief Specialist. Career: Executive, Bergrun Companies (Research, Engineering, Construction, Properties); Thermodynamicist, Douglas Aircraft Company, El Segundo, 1943-44; Aero Research Scientist, NACA Ames Laboratory, 1944-56; Lockheed Missile and Space Company, Van Nuys (CA), Supervisor Flight Test 1956-68, Manager Flight Test Analysis 1958-62, Manager Test Plans and Direction 1962-63, Manager Re-Entry Test Operations 1963-67, Staff Scientist Satellite Systems Applications 1967-69; Director, Management Information Systems, Nielsen Engineering and Research, Mt. View, California. Organizational Memberships: American Institute of Aeronautics and Astronautics, Chairman San Francisco Section 1962, Regional Director 1963, Associate Fellow; California Society of Professional Engineers, State Director 1973-74 and 1979-83, Vice-President, 1986. National Society of Professional Engineers, National Director, 1975-76; California Space and Defense Council, 1982; Co-founder and Acting Chairman of the Board, California Professional Engineering Center, 1986. Charter Member Aviation Hall of Fame. Community. Honors and Awards: Engineer of the Year, California Society of Professional Engineers, Penisula Chapter, 1978; Appreciation for Sustained Contributions Institute of Aeronautics and Astronautics, 1972; Extraordinary Service Award, National Management Association, 1968; Recognition of Distinctive Service, Institute of Aerospace Sciences, 1962; Appreciation for Contributions to First Polaris Launching, Navy Department, 1960.